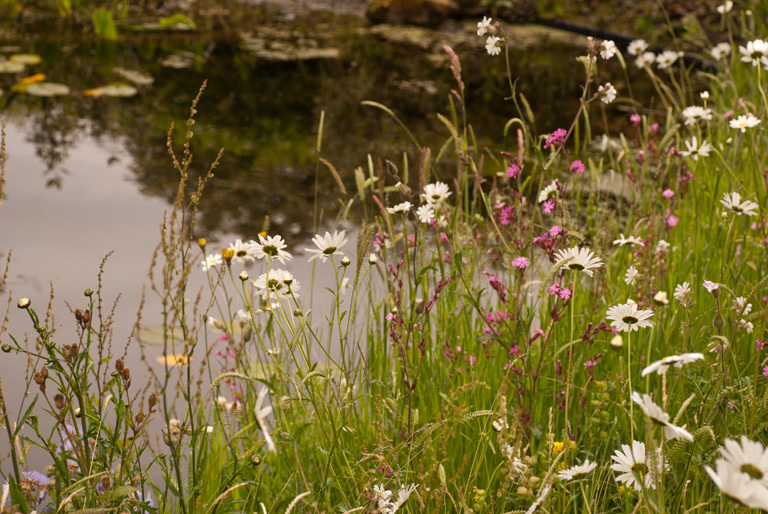 Wild Flower Turf – I told you it was a brilliant product! It’s as though it’s always been there – amazing! 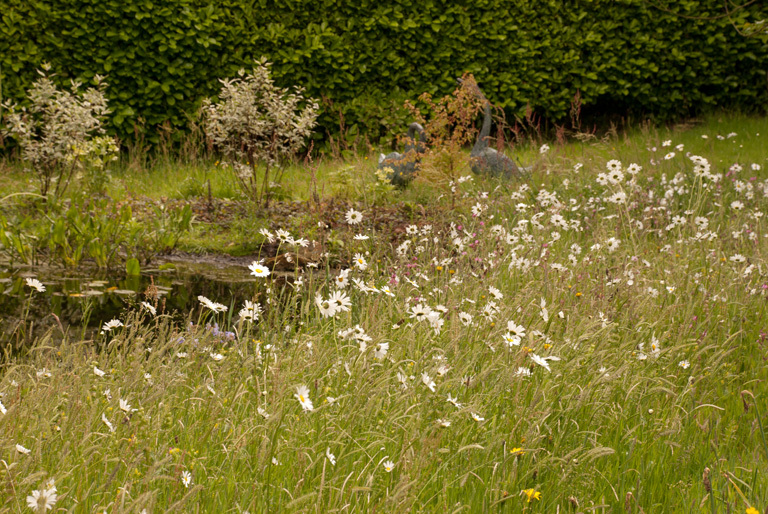 Although Helen used a landscaper to construct the pond, she chose to lay the turf herself and found this extremely easy to do, much easier than normal lawn turf. Laying the turf in the autumn also made life easier as watering was only required every now and then enabling the turf to establish long before the flowers began to emerge in the Spring. 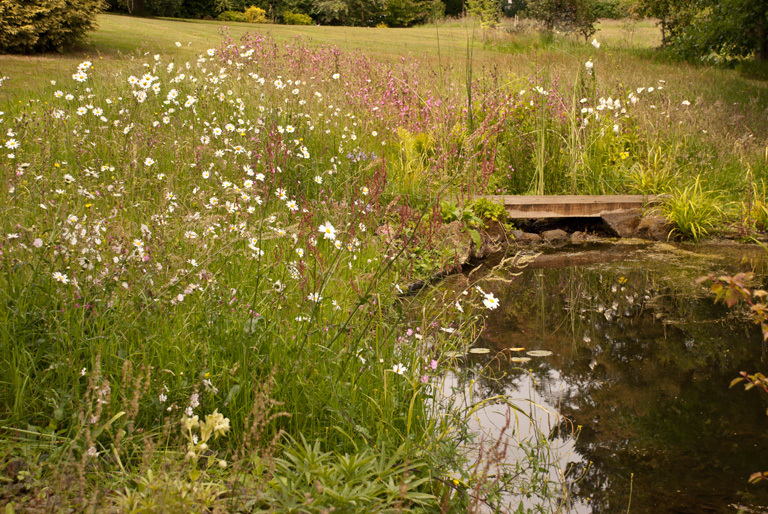 You can see in the picture below the other planted areas around the pond, which were planted before Helen laid the turf. Eventually of course this planting will fill out, but I think it demonstrates just what an instant effect can be achieved with using the turf. 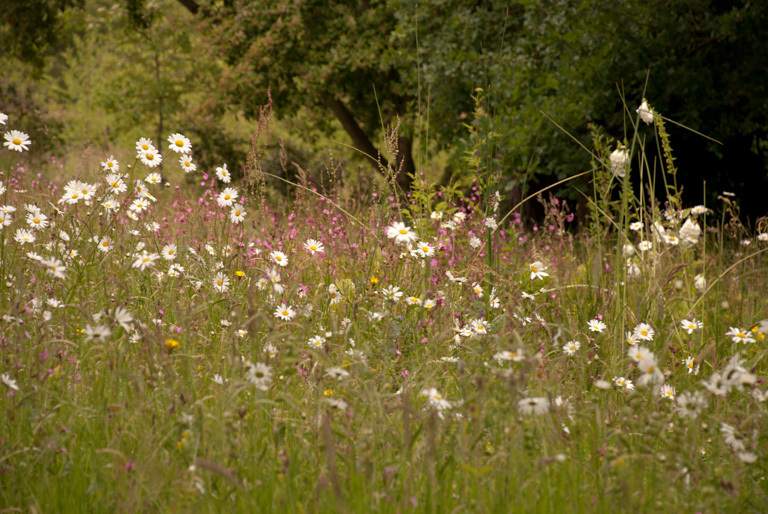 I think this is a brilliant example of how good the Wild Flower Turf product is. 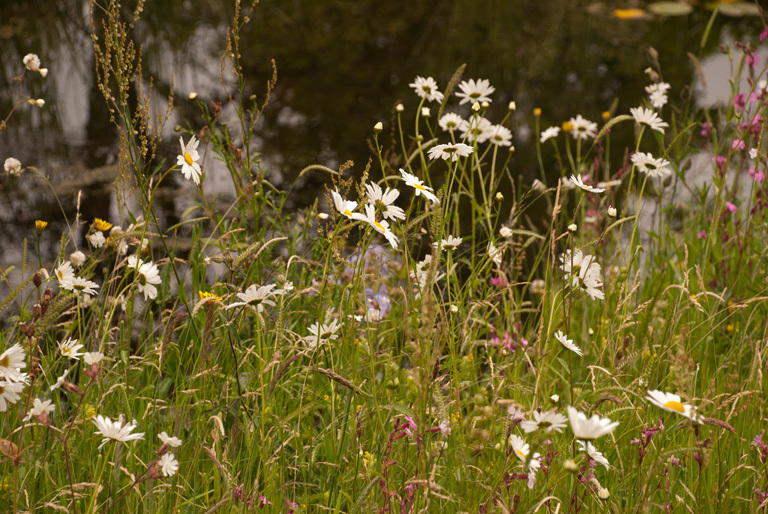 Seeded meadows can take many years to properly establish and it can be really difficult to get the right mix of flowers and grasses. The turf may be a more expensive option but the little amount of work required, coupled with its almost instant establishment, has got to put this product at the top of the list.